This month we see the staff of Haynes Bros standing outside their shop – the shop that is now Co-operative Stores opposite the end of Church Street. This photo has been dated at 1927 by the grandson of the girl in the picture whose name was Olive Dodd (later Raven.) In 2008 we heard that she was 97 and living near York but we don’t know if she made her centenary. As was customary in those days there is a grand window display but inside all the goods would have been behind counters and the shop assistants would get items from the shelves on request. 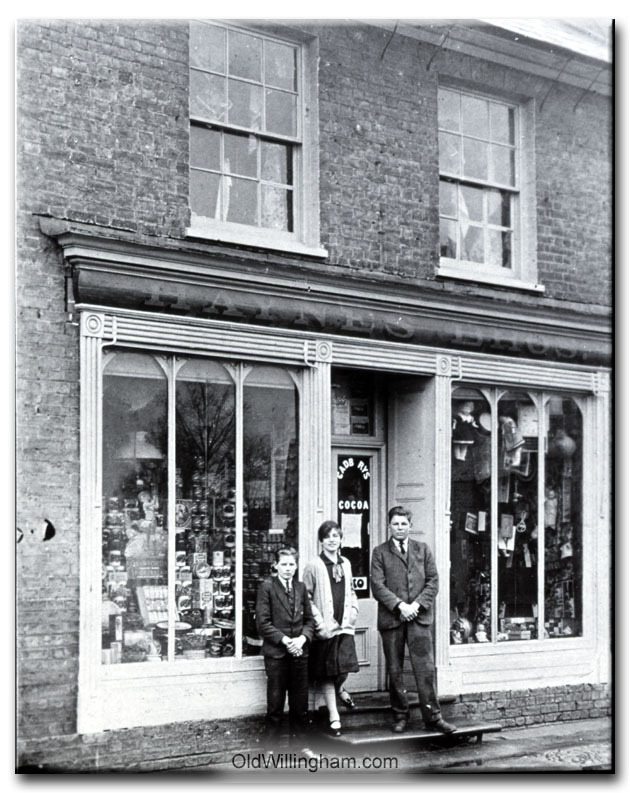 Haynes had two shops in Willingham, this one and another further down the high street roughly where the entrance to Bourneys Manor Close is now. That shop burned down in a huge fire that was reputedly so hot it caused paint to peel on the railing of the house on the other side of the street.